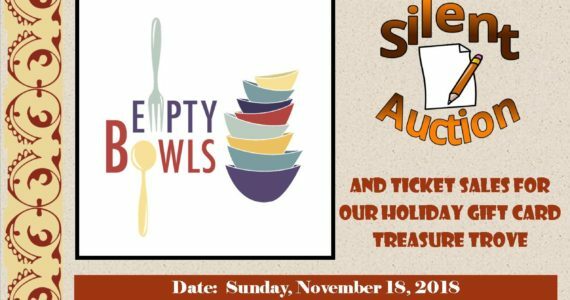 This year’s event for Empty Bowls will be held at Paroisse Ste-Thérèse Parish On November 18, 2018. Join us as we serve up some delicious soups in our local one-of-a-kind pottery bowls. Try as many soups as you can handle and you get to keep the bowl! Another great way to support our local potters who donated their art for our cause against hunger! Together we can end hunger, one bowl at a time! Thank you Ann Marlin and all pottery artists for your support! Remember to bring some cash to the event. We will have some great prizes to be won as well as our Holiday Gift Card Treasure Trove raffle tickets will be available. ← Agapè’s Pre-Valentine’s Day Bake Sale !